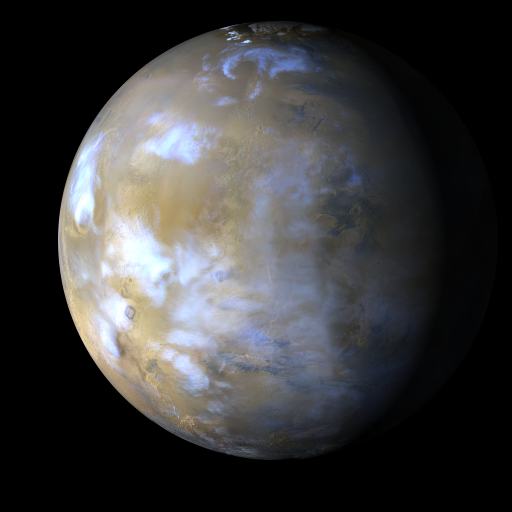 Typical weather patterns for northern summer continued this past week on Mars, with widespread water ice clouds over equatorial regions as well as north of Tempe. Dust storm activity occurred in the southern mid-latitudes from Solis to Aonia as well as in Noachis. Transient dust storms were also observed along the perennial north polar cap edge. Scattered cloud cover associated with water ice clouds of the aphelion cloud belt were observed over the Opportunity rover site at Endeavor Crater and skies were clear and storm-free over the Curiosity rover site at Gale Crater. Malin, M. C., B. A. Cantor, M. R. Wu, and L. M. Saper (2014), MRO MARCI Weather Report for the week of 28 April 2014 – 4 May 2014, Malin Space Science Systems Captioned Image Release, MSSS-324, http://www.msss.com/msss_images/2014/05/07/.